Research and literature both have proven that family involvement plays a critical role in the development of a child with autistic spectrum disorders (ASD). Therapists and teachers may fill the child’s day with various interventions but this is not enough since a child spends bulk of his time with his family. This is even more emphasized in our culture since we, Filipinos, are very known to have strong family ties and support system. Aside from this, the family is more permanent in the life of a child with ASD as compared to professionals who may not exactly stay with the family the whole day lest for a lifetime and they cannot definitely deny the responsibility over the family member who needs a different kind of attention and care because of his diagnosis. This reality has moved immensely the Kid’s Nook Integrated School to sponsor a whole day seminar entitled “Home Made Love” at the Central Philippines University, Jaro, Iloilo City last April 17, 2010 for parents and professionals. The seminar covered two topics namely managing persons with ASD in the home setting and the journey of siblings into the world of their brothers or sisters with ASD. Approximately, 40 participants listened intently as they learned techniques in starting a home program and gathered ideas in dealing with challenging behaviors at home. Parents were reminded about the importance of strong home-school partnership while the professionals particularly the teachers were encouraged to create or strengthen the home program service in their respective schools or centers. With regard to the often or unconsciously “neglected” family members - the siblings of persons with ASD - parents in particular were enlightened in the presentation of concerns and needs of their other children. Through the lecture on siblings, the parents realized the importance of their other children and gathered tips on how to reach out to them. Likewise, the professionals were challenged to create programs for the siblings, such as trainings in understanding autism and behavior management strategies or organizing sibling workshops, in order to help the siblings deal with their issues or concerns in relation to their brothers or sisters with ASD. With this special event organized by Teacher Teena Marie Inayan-Derequito - Directress of Kid’s Nook Integrated School (KNIS), Teacher Harold Derequito – Head Teacher of KNIS Behavior Management for one-on-one and the Kid’s Nook teachers, hope definitely prevails for the Ilonggo families of persons with ASD! May other schools, centers and organizations in the neighboring regions follow your trail in continuously empowering families of persons with ASD and other special needs! Salamat guid sa inyo nga tanan! 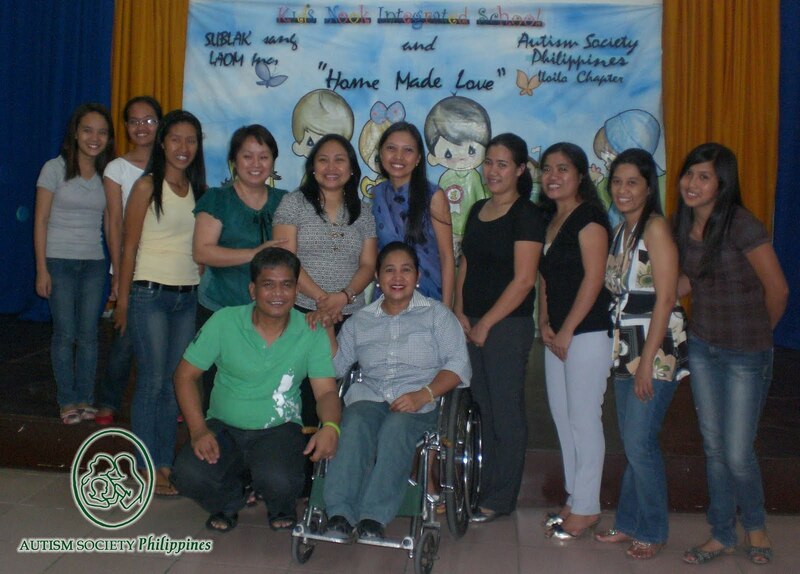 My Sorongon is ASP’s EDEIP or Early Detection Early Intervention Program Trainer. She conducts lectures on autism for different ASP Chapters and other institutions. 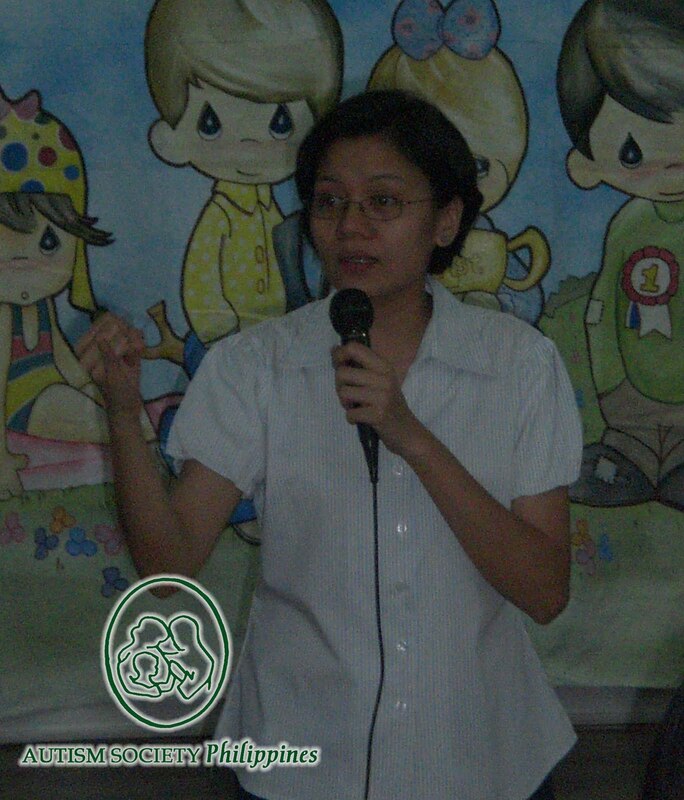 Write us at autismphil@pldtdsl.net to request for Understanding Autism Seminar in your schools or institutions. “Concerns of Adult Siblings of Persons with Autism” is available at the ASP library at room 307, #47 Kamias Road QC or call 929 8447/ 926 6941 for more information.